This looks great. 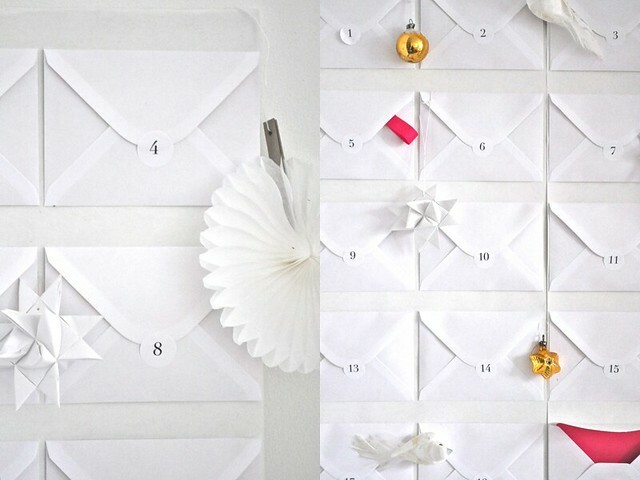 A simple idea, but so stylish - as always. so adorable. 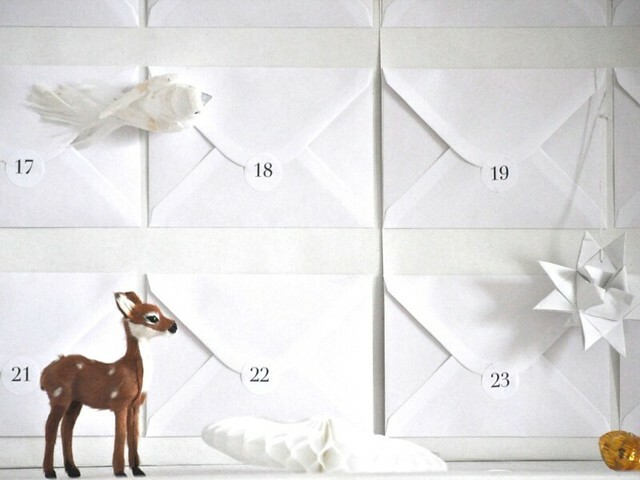 i love the idea of counting down to christmas! This is beautiful! 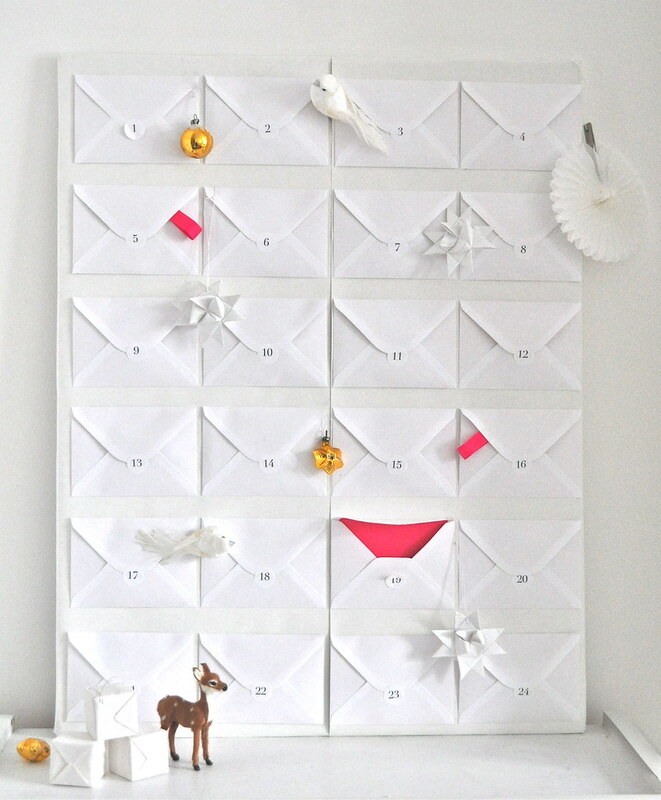 I just finished our advent calendar too - just in time. I wish I had seen this one first. I used small paper bags, but I love the envelopes. i love thos plain white look with that little color accent. 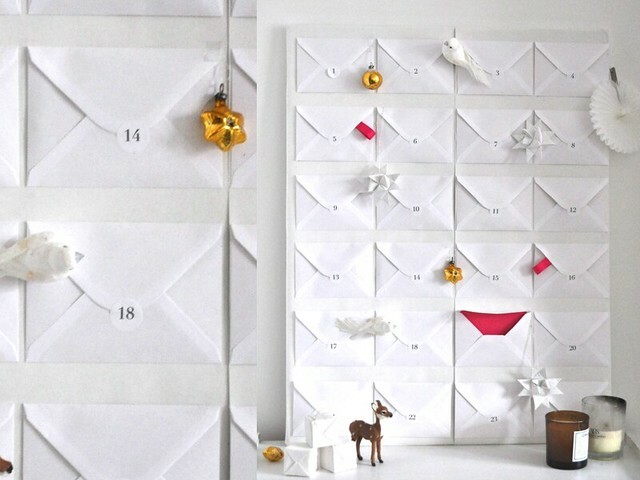 Hey, beautiful advent calendar:) I linked you to my blog. So cute :) i like it very much.